The earth is seen (on the top left) dwarfed here in approximate relative size to the sun. The massive fiery plumes (known as coronal ejections) seen here would encompass the earth many times over (photo: NASA). The sun—this hot, bright ball of plasma dominates the daytime sky, and is by far the most massive object in our solar system. It provides heat and light to earth, and as we will see, it is no ordinary star. And in the New Jerusalem, there will also be no need for the sun, because God will provide the light once again (Revelation 21:23). But meanwhile, we can appreciate the wonder of the star God has provided for us. How is the sun special? Anti-theists are fond of dismissing the sun as a run-of-the-mill star in a not-too-special place in a galactic spiral arm. It is true that many stars are far bigger and brighter than the sun. However, saying that bigger stars are more important is as illogical as saying that a 7–foot man is more important than a 5–foot woman. Recent research has called the sun ‘exceptional’.2 Our sun is among the top 10% (by mass) of stars in its neighbourhood.2 It is actually an ideal size to support life on earth. There would be little point in having a red supergiant star like Betelgeuse, because it is so huge that it would engulf all the inner planets! Nor would we want a star like the blue-white supergiant Rigel, 25,000 times as bright as the sun, and emitting too much high-frequency radiation. Conversely, a star much smaller than our sun would be too faint to support life, unless the planet were so close to the star that there would be dangerous gravitational tides. In 1939, Hans Bethe proposed that the sun and other stars are powered by nuclear fusion—this theory earned him the 1967 Nobel Prize for Physics.5 In fusion, extremely fast-moving hydrogen nuclei join to form helium—this requires temperatures of millions of degrees. Some mass is lost and converted into a huge amount of energy as per Einstein’s famous formula E = mc2.6 Thus the sun would be essentially a gigantic hydrogen bomb.7 If fusion were totally responsible for the sun’s huge power output of 3.86 x 1026 watts, four million tonnes of matter would be converted every second into energy—this is huge, but negligible compared to the sun’s enormous total mass. However, if nuclear fusion were the sole source of power, then we would expect to observe three times more neutrinos than we do.9 This shortfall has been tentatively explained by the idea that neutrinos alternate between three types. This would require that they have mass, although previously they were universally regarded as massless. Alternatively, two-thirds of the sun’s energy could be provided by gravitational collapse, through conversion of gravitational potential energy to heat and light as the sun’s gases collapse inwards. This theory was proposed by the great physicist Hermann von Helmholtz (1821–1894). It was the chief theory until the prominence of Darwinism, which could not tolerate that it would put an upper limit on the sun’s age at 22 million years—far too short for evolution. Observations suggesting the sun is shrinking at a rate of at least 0.02 seconds of arc per century, give some support to the notion.10 This would be ample for collapse to be a significant energy source. But the shrinkage is controversial, even among creationists. In any case, since nuclear fusion is at least a partial source of energy, Helmholtz’s age limit cannot be strictly applied. Both sides should have realised that all movement must be described in relation to something else—a reference frame—and from a descriptive point of view, all reference frames are equally valid. The Bible writers used the earth as a convenient reference frame, as do modern astronomers talking about ‘sunset’; speed limit signs also depend on the earth as a reference frame. Using the sun (or the centre of mass of the solar system) is the most convenient for discussing planetary motions.18,19 Return to text. On 11 August 1999, large numbers of people from England to India were fortunate to behold the awesome sight of a total eclipse of the sun. This is possible because the moon is almost exactly the same angular size (half a degree) in the sky as the sun—it is both 400 times smaller and 400 times closer than the sun. This looks like design. The moon is gradually receding from the earth at 4 cm (1½ inches) per year. If this had really been going on for billions of years, and mankind had been around for a tiny fraction of that time, the chance of mankind living at a time so they could observe this precise size match-up would be remote. (Actually, this recession puts an upper limit on the age of the earth/moon system at far less than the assumed 4.5 billion years20). Many Christians who compromise with billions of years assert that the sun and other heavenly bodies were not really ‘made’ on the fourth ‘day’ (millions of years long). Rather, they ‘appeared’ to a hypothetical observer on earth when a dense cloud layer dissipated after millions of years. But this (mis)interpretation is not allowed by the Hebrew words used. The word ‘asah means ‘make’ throughout Genesis 1, and is sometimes used interchangeably with ‘create’ (bara’), e.g. in Gen. 1:26–27. It is pure desperation to apply a different meaning to the same word in the same grammatical construction in the same passage, just to fit in with atheistic evolutionary ideas like the big bang. If God had meant ‘appeared’, then He presumably would have used the Hebrew word for appear (ra’ah), as when the dry land ‘appeared’ as the waters gathered in one place on Day 3 (Gen. 1:9). This is supported by Hebrew scholars who have translated the Bible into English. Over 20 major translations were checked, and all clearly teach that the sun, moon and stars were made on the fourth day. Return to text. Chown, M., What a star! 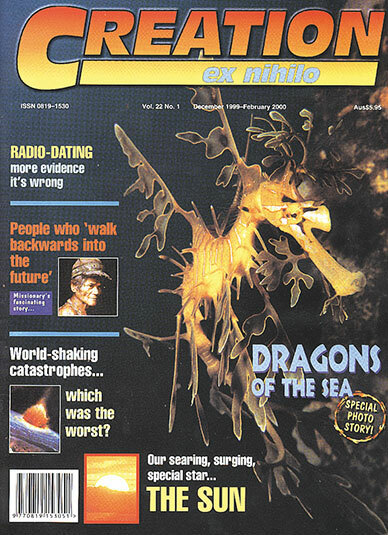 New Scientist 162(2192):17, 1999. Return to text. 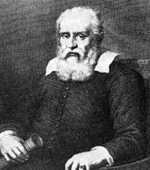 Seife, C., Thank our lucky star, New Scientist 161(2168):15, 1999. Return to text. The researchers later theorised that such flares are triggered by the large magnetic field of a closely orbiting gas giant planet (Schaefer, B., reported in Discover 20(4):19, 1999). But they have not been seen, and the standard evolutionary accretion model forbids gas giants from forming that close to the star: they can grow large enough to attract gas only if they are cool enough to incorporate ice into the accreting body. Return to text. ‘Bethe, Hans Albrecht’, The New Encyclopædia Britannica 2:173, 15th Ed. 1992. Return to text. Four hydrogen atoms (mass = 1.008) convert to helium (mass 4.0039) losing 0.0281 atomic mass units (1 AMU = 1.66 x 10–27 kg), releasing 4.2 x 10–12 joules of energy. Return to text. Man-made hydrogen bombs use the heavy hydrogen isotopes deuterium and tritium, plus some lithium. 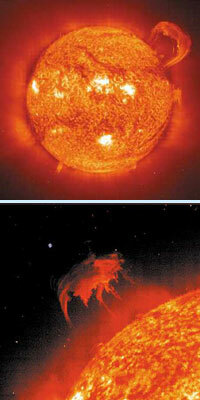 The sun uses ordinary hydrogen—a reaction that requires higher temperatures. But Bethe calculated that carbon-12 nuclei in stars could catalyse the reaction, where nitrogen and oxygen also have a role, hence the CNO cycle. But the sun’s core is not thought to be hot enough for the CNO cycle, and is thought to use the proton-proton (PP) chain instead. Return to text. The nett fusion reaction is 41H → 4He + 2e+ + 2νe, where e+ is a positron or anti-electron, and νe is an electron-neutrino. If the sun were powered by nuclear fission (instead of fusion) or by radioactive decay of heavy elements, antineutrinos would be produced instead. Return to text. Snelling, A.A., Solar neutrinos—the critical shortfall still elusive, Journal of Creation 11(3):253–254, 1997. Return to text. See Dr Snelling’s four-part study, Creation 11(1–4), 1989, including That Matter of the Shrinking Sun. Uniform shrinkage at this rate would mean that 100 million years ago the sun would have been too large for life on earth. Return to text. 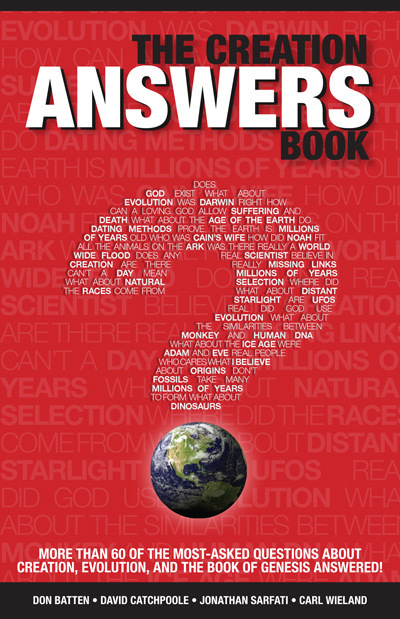 Eddy, J.A., quoted by Kazmann, R.G., It’s about time: 4.5 billion years, Geotimes 23:18–20, 1978. Return to text. Reeves, H., The Origin of the Solar System, in: The Origin of the Solar System, Dermott, S.F., Ed., John Wiley & Sons, New York, p. 9, 1978. Return to text. Taylor, S.R., Solar System Evolution: A New Perspective, Cambridge University Press, p. 53, 1992. Return to text. 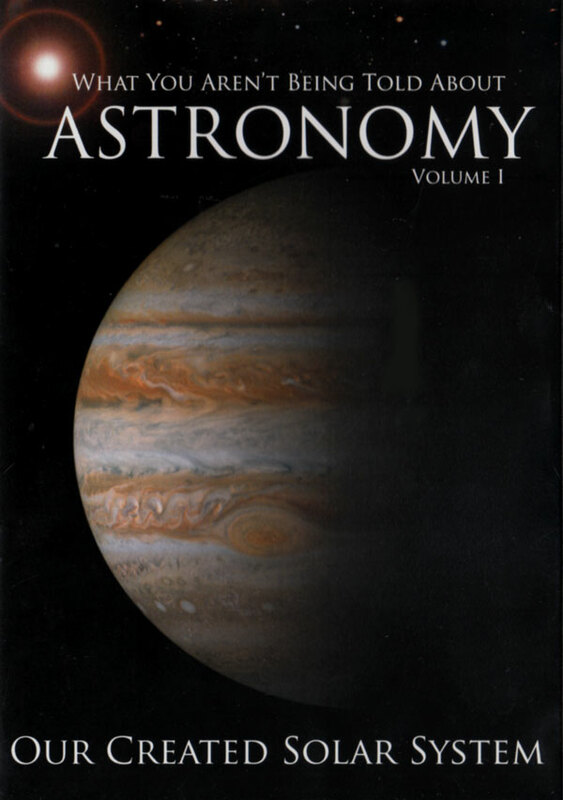 ‘Galileo’, The New Encyclopædia Britannica 19:638–640, 15th Ed. 1992. Return to text. Magnetic fields often split spectral lines—the Zeeman Effect—and this is detectable in sunspots. Return to text. Ref. 15, p. 638. Return to text. Grigg, R., The Galileo Twist, Creation 19(4):30–32, 1997. Return to text. Sarfati, J., Refuting Evolution 5th ed., ch. 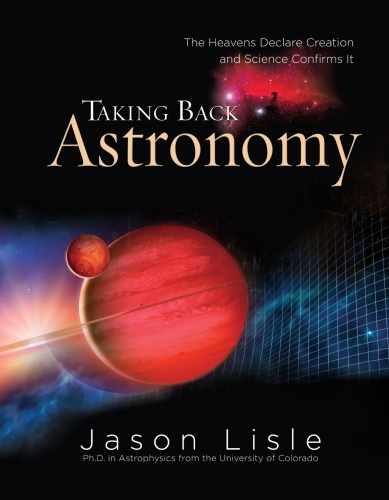 7: Astronomy, Creation Book Publishers, Atlanta, Georgia, USA, 2012. Return to text. Sarfati, J., The Moon: The light that rules the night, Creation 20(4):36–39, 1998. Return to text. Weiss, P., The sun also writhes, Science News 153(13):200–202, 1999. Return to text. Irion, R. The great eclipse: Crown of fire, New Scientist 162(2188):30–33, 1999, discusses rapidly oscillating magnetic waves as a possible energy source. Return to text. ‘Sun’, The New Encyclopædia Britannica 11:387–388, 15th Ed. 1992. Return to text. 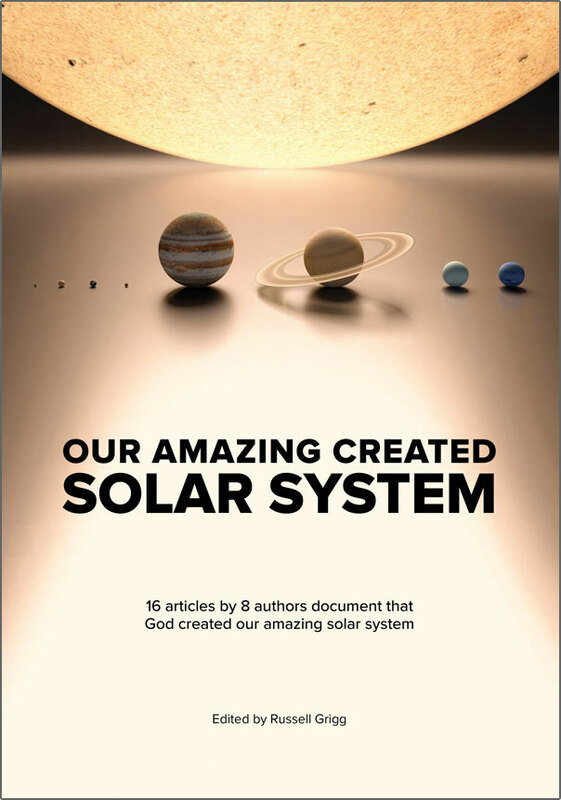 ‘Solar System, The’, The New Encyclopædia Britannica 27:504–603, 15th Ed. 1992. Return to text. Synodic period is the time for the sun to return to the same orientation towards the earth. Return to text. Newton, R., ‘Missing’ neutrinos found! No longer an ‘age’ indicator, Journal of Creation 16(3):123–125, 2002. Return to text. A Trace of the Corona, scientificamerican.com/article/a-trace-of-the-corona, 1 Dec 2000. Return to text.